These companies sponsor my rides and provide the working gear I use every day. Their products are an integral part of my everyday life as an equestrian traveler. A sincere thank you to all of you!! Outfitters Supply has been riding with me since 2005 when I began long riding. I picked up a black Trail Max saddle bag in Missoula, Montana on my 6 month journey to New Mexico. I was so impressed with the durability of the packs that after returning from my first 2000 mile ride I went in to introduce myself and let them know how impressed I was. They cannot be beat. No one uses a saddle pack and gear as much as I do in a given year, unless it is another long rider. The zippers and stitching, the fabric and leather, are put to a most grueling test. My hat is off to you, Outfitters Supply. Same great shoes. I would not even think of going out on a long ride with out these shoes on my horses feet!! Don’t settle for inferior borium shoes. Use the original DuraSafe borium horseshoes. Guaranteed Traction, Guaranteed Durability, Guaranteed Satisfaction. Our objective is to be the number one source for borium horseshoes, horseshoeing supplies and other farrier supplies. As a potential buyer you can browse products for prices and description. We take all of the major credit cards pictured above. My 6-inch Gus offers much needed protection from the sun, holds up to relentless wind, keeps the rain off my back and shoulders all the while continuing to look great! As a long rider a hat is an integral part of my attire. I have ridden with a Sunbody Hat on my head for all the rides except the first one… I am delighted to have them on the website. I received an email from Sylvan in early 2014 asking if I would like to try one of her custom-made cinches. What ensued were several lengthy emails regarding cinch design, care and use. Sylvan is a cinch specialist! The cinch is one of the most common trouble spots for a horse. A sore can develop quickly and for me it is a constant re-configuring to assure comfort for these beloved horses I ask so very much of. When I received the cinches from Tangleo’s Custom I said WOW… Check them out and you’ll see what I mean. 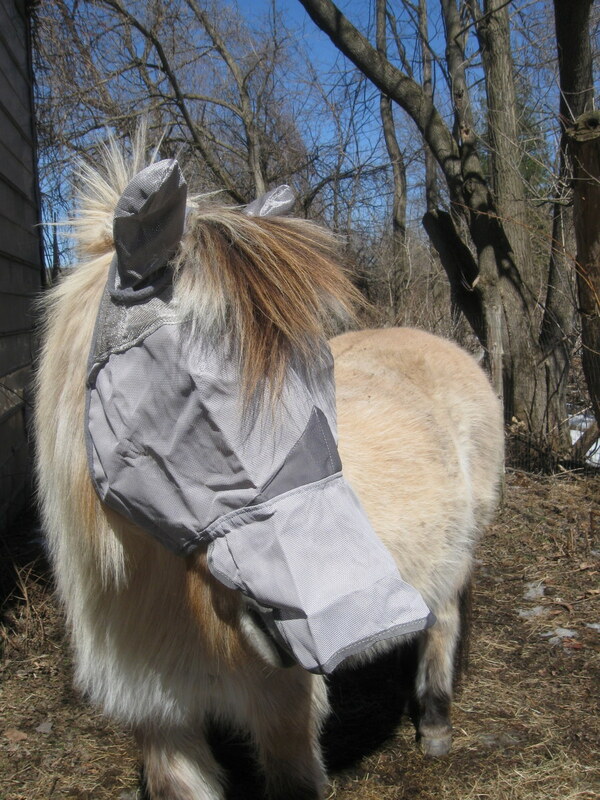 I kid you not when I say the horse’s wait to have these placed on their heads each day in bug season. They are an absolute must, absolute. One can not imagine the bug situations that I encounter. I have tried many fly masks but the full mask with the entire head covered yet allows for good visibility is made by Cashel. 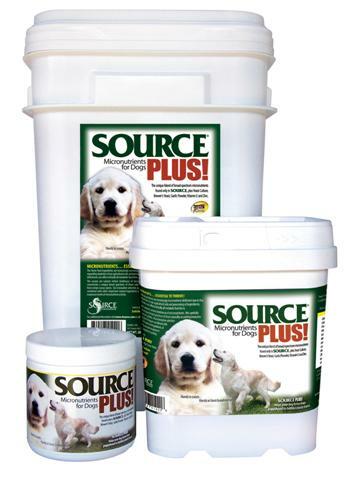 Since 1975 Source Inc. has been producing a unique blend of broad spectrum micro nutrients, “The Pioneer in Micronutrient Supplementation,” essential for us and our loving companion animals to thrive. Even the finest foods are increasingly deficient in micronutrients, due to our agricultural practices, soil depletion, and ingredient processing. Our all natural proprietary formulation of macroalgae (special seaweeds) are grown in clean nutrient rich ocean waters. We carefully select and sustainable harvest our seaweeds in cold, Northern, Atlantic waters, and have our own special processing techniques to capture these nutrients at their peak. Each and every product sold by SOURCE contains no artificial coloring, flavoring, or preservatives, and all products are backed by our risk-free money back guarantee. 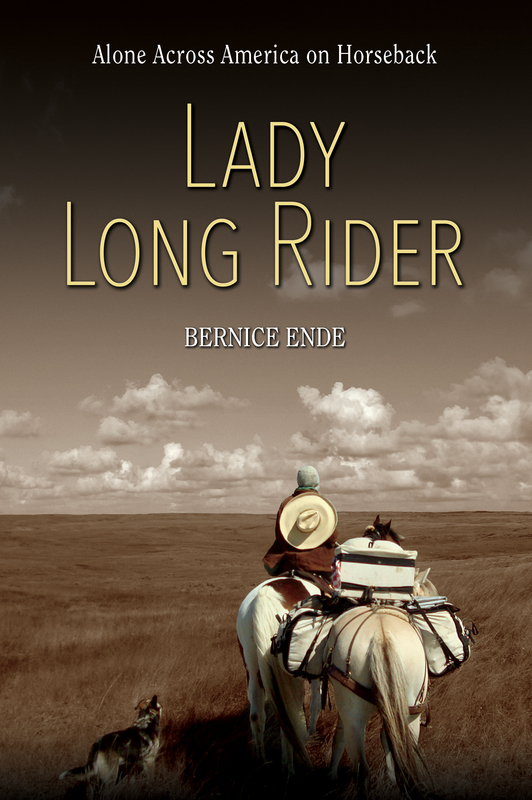 We are honored and proud to sponsor Lady Long Rider Bernice Ende, for following her dream inspiring others and loving life and her companions; Claire, Hart, Essie Pearl, and Montana Spirit to the fullest. SOURCE, INC. 101 Fowler Road, North Branford, CT 06471 (800) 232-2365 www.4source.com or e-mail at info@4source.com. Wishing you a safe and happy journey! Because of doTERRA I never have bugs on my beautiful face, LOOK! I am delighted to welcome doTERRA to my saddle packs! I have used essential oils for YEARS! Rosemary, Eucalyptus, Clove, among others. But to have do TERRA is definitely a big step above the others I have used. The product is the best! Welcome Romi and Marc Clark representing doTERRA Essential Oils. We are a woman-owned company with a team of less than 10 men and women, located near Austin, Texas. We are one of the few 100% pure ingredient skin care lines available. What does this mean? We use food grade quality of base ingredients instead of cosmetic grade. You will find NO synthetic ingredients in the products we manufacture. Instead of saying “naturally derived” beside an ingredient, we would actually put that truly natural ingredient in our products. Not have it manufactured in a lab and then call it natural. You will NOT find any “fragrance” or artificial coloring in our products. We use therapeutic grade essential oils for their aromatherapeutic properties as well as for their physical properties. NO genetically modified base ingredients. NO ingredient we use in our formulations or our end products are tested on animals.Our products can actually be used on our furry, feathered or scaly friends to help them with their issues! Children, Babies, Animals and our planet! Let’s keep in touch online! BRED FOR ENDURANCE and versatility. These horses are mountain hardy with calm and gentle dispositions. Great for riding, driving, and packing but also shine in dressage and sports events. Dream Catcher Therapeutics was founded as a nonprofit corporation in 2001 by Rebecca and Gary Adams. The facility is located in Pendleton Oregon, giving people with emotional, physical, and mental challenges the opportunities to ride, groom or simply hug a horse. As a rider starts out, goals and objectives are decided upon. The rider is evaluated as to his or her abilities. A lesson plan is developed with the ultimate goal of independent riding. Exercises that test the balance and muscle tone of our riders are used on horseback to assist with these issues. Cognitive exercises help the rider to overcome some areas that may otherwise lead to behavioral issues. Rebecca remains on the board while the program is now managed by Madison Morgan who has a degree in Equine Therapeutics from the Rocky Mountain School in Billings Montana. Outfitters Supply, have been riding with me for the entire 11 years I’ve been Long Riding. 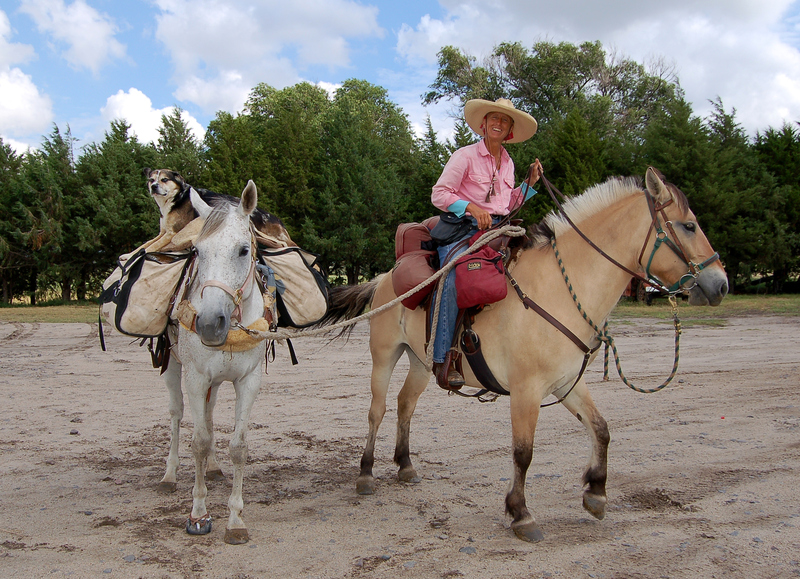 Russ Barnett and his crew provide me with the durable, clean looking saddle packs, hobbles, snaps, feed bags and water buckets, and the pack saddle. It’s one thing to use your packing equipment for a weekend ride or for a 2 week trip into the wilderness. It is yet another thing to expect packs and saddles to hold up to daily use for months and months and months. Tucker Saddle Co. I’ve ridden over 25,000 miles in a Tucker Saddle… I guess that alone should tell you something. “nothing comes between me and my horse but a Tucker Saddle.” I am now using the Black Mountain Saddle. Like the Gen II and High Plains saddles I’ve used this one is just as C-O-M-F-O-R-T-A-B-L-E, not just for me but for my horses. I find it hard to believe I used any other saddle. I use the Skito Saddle Pads which are custom fitted for the horses. It has not always been like this. I’ve experimented with a variety of padding. The padding for long riding is very, very different than what a roping horse might have under its saddle or an endurance horse or a trail horse. It takes trial and error but the advice and suggestions from the folks at Skito have been a leap forward for me, providing an accurate fit of the saddle pads for my beloved horses. Then there’s that hat I wear… Sun-body Hats. When Jimmy Pryor (owner of Sunbody Hats) mailed the hat I am presently wearing (the one that Hart was interested in eating until the wind caught it and playfully ran off with it never to be seen again). I emailed Jimmy and said” I didn’t feel like a long rider without the hat!” The hat protects me from sunburn, shades my eyes, cools my shoulders and… looks great!! “Where did you get that hat?” A question I am asked often. I will “step” down from my hat to my Ariat Boots I walk 7-10 miles in my Ariat Ropers every day with-out having sore feet. I use steel, horseshoe like cleats on the heels that gives me more wear time, it also sounds like I have jingle jangle spurs on. The Ariat Boots are to me what Essie Pearls saddle is to her. The Ropers Heritage Boots hold up to a rigorous day of walking and riding… Yes these boots are made for walking….and riding. SOURCE Micronutrients – In 2010 I was given SOURCE as a “try-me” gift, and within two months I noticed a remarkable difference in the horses coats and feet. I even noticed a change in Essie Pearl’s disposition. I am delighted to have the SOURCE Micronutrients products as a sponsor, helping provide much needed quality nutritional supplements.. I am so impressed with what it has done for THE WHOLE FAMILY– me, the horses and Claire dog, we all now use Source products…wonderful. Climb-On-Skin care products. Lip gloss, skin creams, mosquito repellent. After a long 30 mile day of wind and sun my skin is parched, looks leather feels like sand paper. I may ride 1000s of miles every year but my face does not have to look like it!! Mt. 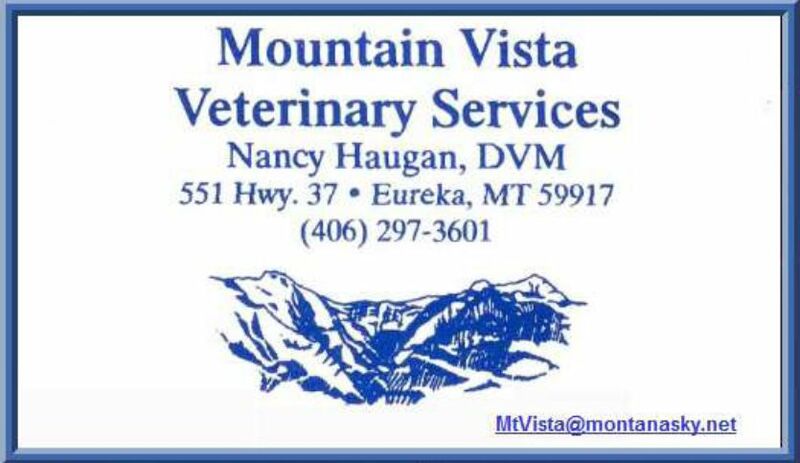 Vista Veterinary Services Nancy Haugan has been our local Vet for many years. She has sponsored all of my rides. To those of us who have animals in the community this woman is loved beyond measure. What I so appreciate about her, is her down to earth common sense. When I’m out on the road traveling I know that I can call and talk over a situation and receive sound advice. Benchmark Maps is a publisher of award-winning maps and atlases of the American West. I am delighted to have Benchmark Maps riding with me this year. I have used these maps for years. I wrote and told them how important these colorful, easy to read maps are to me, they are tattered and tore, yet still holding together when I come in from a ride. I study maps everyday, looking for a new route or clues that might help me on my journey or simply help to learn about the geography which I am crossing. Maps!! very important to a long rider, especially because I do not use a GPS. The Benchmark Maps are great for any outdoor adventure. The Blacksmith Shop is another new sponsor that I am delighted and proud to have riding with me this year. I have used hard-surfacing on the horseshoes before and for pavement riding it’s a must. But Roger Robinson, at the Blacksmith Shop is an authority on hard-surfacing and when I heard about him from folks in Texas I had to call and just see… I have, for the first time, a sponsor providing me with horseshoes. I can not tell you how much this helps. To have shoes sent out to me as I need them, pre-shaped with Roger’s original DuraSafe borium horseshoes, I am moving up in the world of long riding!! I have used products from Theodora’s Garden for nearly 20 years. Most of her products are made from locally grown handcrafted herbs which she then carefully blends together in small batches. She is a well known herbalist in our area. Some of the products I use on both myself and the horses like the HERBAL ZINC OINTMENT. The KOOL-ARNICA I must travel with for tired, achy muscles. She has a complete line of herbal products to choose from. Theodora now also offers a vacation rental, Theodoras Garden & Hideaway | Getaway, Relax | Eureka MT www.visitnwmontana.com/lodging/theodora-s-garden-and-hideaway.html… this guest cottage is so colorfully and creatively put together, you will love it, close to the mountains (and me.) COME VISIT, I am home more than I once had been! Tangleo’s Customs owned by Sylvan Walden contacted me in 2014 asking if I would like to try one of her custom cinches. After several lengthy emails I realized this woman thinks SERIOUSLY about cinches. Like all of my sponsors, I include Tangleo’s as in the “best of” class…check them out. Cashel Fly Masks are a must. I have tried many other brands but the Cashel Fly Masks are better suited for riding or a heavier one that I use for the nights. I must have fly masks and these are my first choice.